My camera is really the only item that I would be worried about submersing while performing one of my famous sophisticated canoe moves, such as the Opeongo-flip-roll-and-curse, the Rock-Lake-swamp-yell-and-sink, and finally the Lake-Louise-trip-and-scrape-shin-and-fall-splash-and-curse. I will not cover the subtle mechanics of these moves here, now. Just close your eyes and imagine for a moment. To keep a camera (or iPod - but why would anyone bring an iPod camping???) dry, there are all kinds of waterproof cases for cameras and electronic devices. 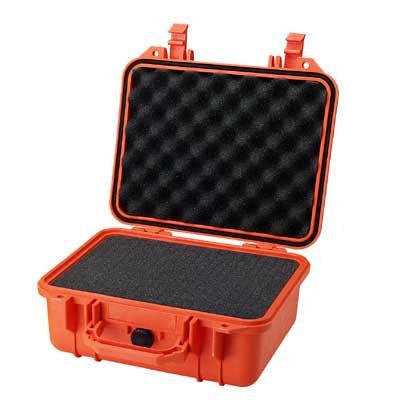 Pelican Cases are hard-core, bomb-proof, tough, rigid waterproof cases with foam-padding inside. And they are expensive. Good for someone traveling through South Pacific atolls with Jacques Cousteau (or his kin) or even Tom Hanks in Cast Away, but it seems a little much for someone of my needs. 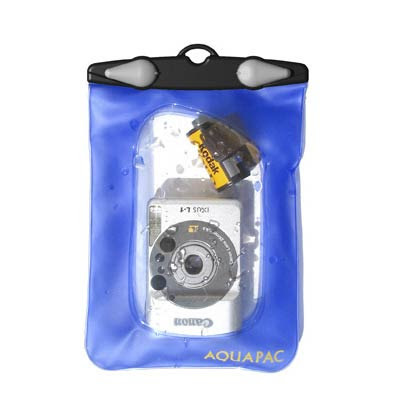 I poked around the Mountain Equipment Co-op web site and found the Aquapac Compact Camera Case. This is only $35 and while probably intended just to keep your camera dry, it looks like you can actually use it to take underwater photographs. In Algonquin Park, I could sneak up on some unsuspecting clams or minnows or small pebbles and take their photograph, I suppose. Anyway, I want to get one of these. When I got my camera, I just accepted the 256 Mb SD Memory Card that my Olympus camera came with. Over time I found that it maxed out around storing 140 pictures (at the quality I like) - or fewer photos if I took a short movie of my surroundings... 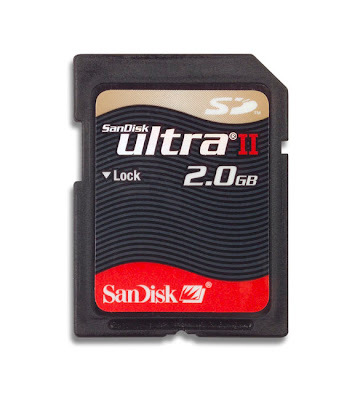 So I found a great deal listed online - a memory card with 2 Gigs of storage for $20. It arrived by courier not so long ago and now I can take a ton more pictures. That's 8 times more storage, I think that'll be enough for a 4 day trip. If I was going for longer, or wanted to take more movies, I would buy a 4 Gig card or another 2 Gig etc... I heard about someone rigging an iPod to act as an external storage hard drive, but my lovely wife uses hers all the time and I am sure she would prefer it if I left it alone. Of all three issues, the most pressing one is battery life. My lithium rechargeable batteries (2 of them) that came with my camera work for a while but tend to run low pretty quickly. I'm not sure if this is because I have used them so much, or simply if this is how they are supposed to work (For those that know batteries, these are each rated at 1090mAh. ). It's not too bad, but certainly 2 batteries don't last for 4 days worth of picture taking. And I can't substitute regular 'over the counter' batteries as my camera uses a proprietary size. But I have found a solution to my problem of batteries running out: the Sun! oh, and photovoltaic solar cells. 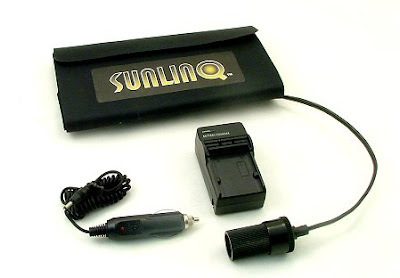 "The camera battery charger charges at approximately 350mA, charging times vary depending on battery type, sun intensity and panel orientation. At full current, a 1000mAh battery will charge in less than 3 hours and a 2000mAh battery will charge in less than 6 hours." So there you go - 1) susceptibility to moisture damage is addressed using that waterproof bag/case, 2) limited file storage for images and movies is addressed simply by buying more memory cards - or even down-sizing the default image size... but I wouldn't want that, and 3) limited battery length is taken care of by using the solar charger. I think having all of this in place would let me make a reasonable movie tutorial of some skills, in a similar way that Michel Blomgren has done. Anyway - hope everyone has had a nice weekend - back to work in the morning!